◆◆◆◆◆ OVER 2 MILLION DOWNLOADS IN 10 DAYS! PLAY NOW! Live out your car crushing dreams with Monster Trucks Nitro II as you drive big-engine, 4-wheel drive beasts over enormous obstacle courses. 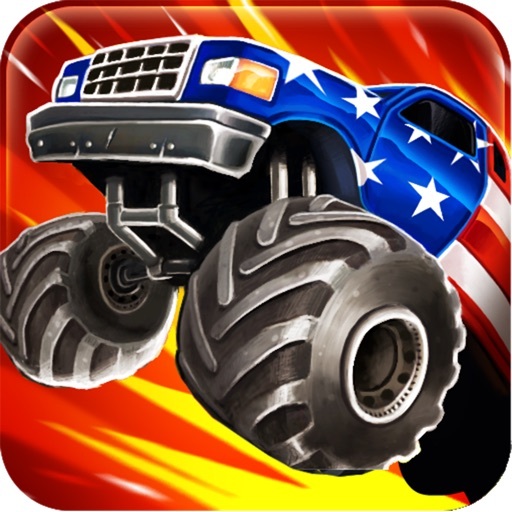 Monster Trucks Nitro II rolls out advanced game physics, breathtaking 3D graphics, more trucks, all new levels, and global high scores. Monster Trucks Nitro II is the adrenaline-fueled, action-packed, heart-thumping sequel to worldwide best-seller, Monster Trucks Nitro. "Solid racing game outshines other monster truck offerings: Graphics 100%, Fun 100%, Audio 100%, Controls 100%"
"This game is EPIC! Natural pick for iPhone, and really excels and improves upon the original, both graphically and in gameplay." 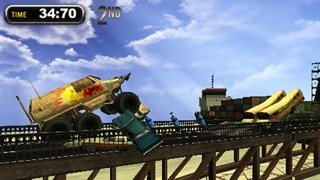 "Monster Trucks Nitro 2 is pure explosive fun that knows how to keep your pinned to the screen. Definitely a must try for anyone's iDevice." 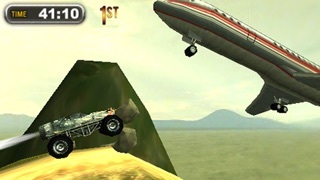 "Monster Trucks Nitro 2 is great fun and highly addictive. I’ve had trouble putting the game down long enough to finish writing this review." "Not only does Monster Trucks Nitro 2 deliver an outstanding race experience, it goes over the top with camera panning/zooming effects, physics-based environment interaction, and car explosions to boot. We found ourselves replaying levels again and again just to watch the destruction left in our wake. 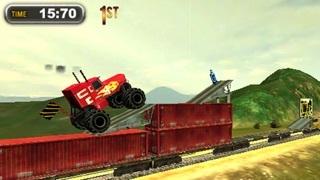 Monster Trucks Nitro 2 is the best monster truck themed game we’ve played." "Monster Trucks Nitro 2 has impressive graphics, loads of content to play through, and an over the top fun factor that makes it a recommended purchase." 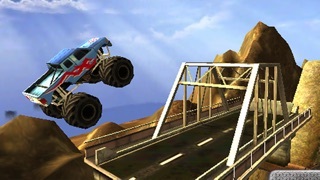 "Monster Trucks Nitro II is yet another prime example of taking a simple concept, adding fun and unique controls and making a memorable experience. With a fully 3D engine that runs smoothly and flawlessly with no slowdown even on my slower 2G iPhone, and its impressively detailed vehicle models, MTN2 is perfect for short, sharp, pick up and play sessions. " •Wreck cars, demolish track structures, run over trees; destroy just about everything that stands in your way! 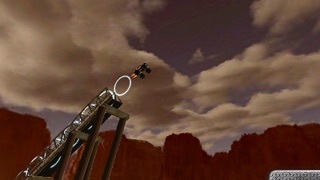 •Experience bigger sounds and more spectacular crashes on the latest iPhone and iPod Touch devices! *'Gameplays' from the headline was calculated from both iPhone, iPod and Flash versions. RedLynx Ltd. is a multiplatform game developer and publisher based in Helsinki, Finland. Since its founding in 2000, it has developed or published more than 100 games on many platforms, including Xbox™ Live Arcade, Nintendo DS™, Sony PSP®, Apple iPhone™, Apple Macintosh, PC, web, interactive TV, and mobile phones. RedLynx is a trademark of RedLynx. Other company and product names may be trademarks of their respective owners. Miniclip.com is the world's largest online games website with over 57 million unique users per month. It has grown rapidly through organic, word of mouth marketing, without any paid advertising. Already, this year, industry-leading commentator TechCrunch has ranked Miniclip.com as one of Europe’s top three tech company start-ups. Miniclip.com won the prestigious Webby Peoples Voice Award, the "Oscars of the Internet" for the Internet's best game site for a record three consecutive years.